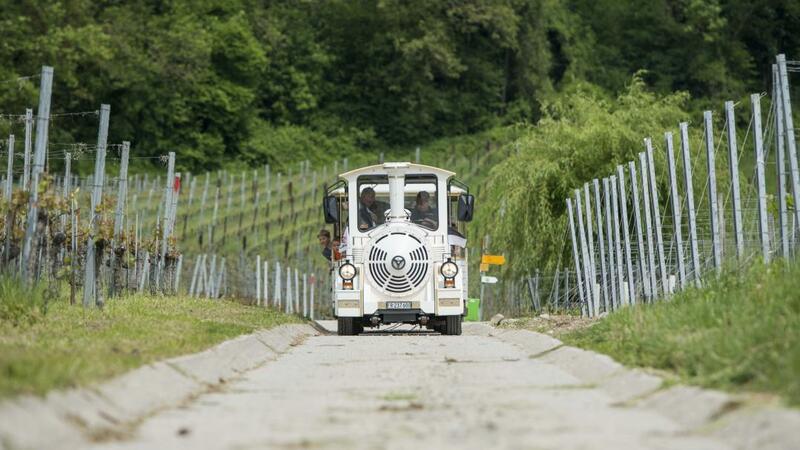 Come and discover the vineyards of the Mont Vully with our tiny train. This activity is ideal for groups! A guide will accompany you on the Vully vineyard path and give you some explanations on the road. This activity can also be combined with a wine tasting and a lunch/diner in a local restaurant (on request)! Valid all year round, regardless of the weather conditions. Activity for groups from 10 to 40 people. Departure area: departure according to a chosen spot in the Vully area.